President Trump's Treasury secretary says most middle income Americans will get a tax break under the Republican plan brewing in Congress. But he stopped short of saying that break would be for all of them. "By simplifying the code, we're putting everybody on a level playing field," Steven Mnuchin told CNN's Jake Tapper on "State of the Union" on Sunday. "For most people -- and, again, it may not be 100 percent, but by far the majority -- both the House and Senate version provide middle-income tax relief." Mnuchin said that assessment is based on "hundreds if not thousands" of tests the Treasury has run on the bills. 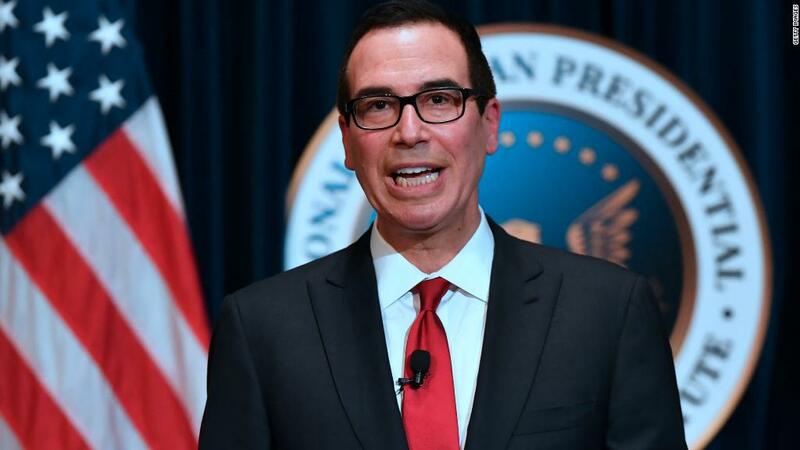 Mnuchin's comments came after Senate Majority Leader Mitch McConnell walked back his claim that "nobody in the middle class is going to get a tax increase" under the Senate's version of the reform plan. On Friday, McConnell told the New York Times that he "misspoke." Mnuchin also defended the tax plan from critics, including Larry Summers, the Treasury secretary under President Bill Clinton. Summers called Mnuchin's tax cut estimates "irresponsible." Mnuchin on Sunday called those comments "unfortunate." "There are lots and lots of economists that come out and support our claims," he said. "We've been completely transparent. Different models will show different things." Mnuchin added that a middle-class tax hike is not what Trump wants. He said lawmakers will "fine tune" the plan before it heads to Trump for a signature. Tapper also asked Mnuchin about Trump's claim that the tax reform bill will bring "the largest tax cuts in the history of this country." "We've tried to find a way that this is true, but it's not," Tapper said, pointing to research that shows the tax break would rank, at most, as the 3rd largest in American history. Mnuchin qualified the president's statement, saying, "This will be the largest change since President Reagan." He also singled out the proposal to slice the corporate tax rate from 35% to 20%. "If that's not the biggest tax cut to make our businesses competitive, what is?" Mnuchin said.